The following extract is taken from the 1693 Church records X1-X14 Trace 6. It describes in detail, a well in High Blantyre, called Kennings Well. “An open Spring well having nothing whatever remarkable in its appearance, it is approached from the Village by a Public foot road which passes the Parish School (School Lane). The Well is Public property, which according to a tradition in the locality, was given by one of the Priors of Blantyre Priory to the Villagers & Farmers of the neighbourhood to water their cattle at. It is said that this right is still mentioned in some of the farmers leases, but some that have been seen do not confirm this statement. At present it is not used for cattle. It is considered the best well in the Village. The oldest of which there appears any listing in the Church Records, is 1693. 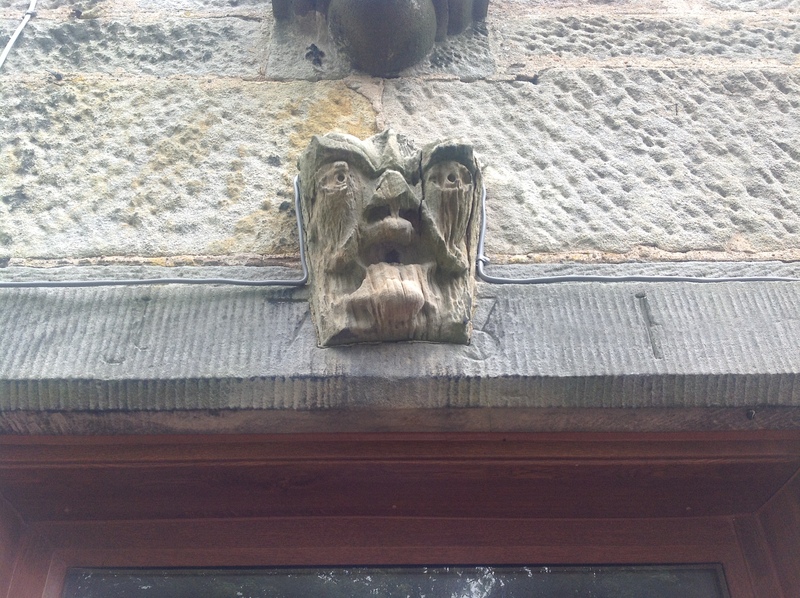 It is mentioned in reference to a [libel] made by a journeyman parishioner against a stone mason who had repaired it! The libeller having said that ” James Steel took the Poors money for his own use as also for his saying that Kennings Well was repaired with Poors money. Other mention is made referring to the same subject, the spelling of each agrees. The Well is believed to be much older than the date of the Church Records. i.e older than 1693. It is sometimes called Kennings Well or Saint Kennings, but “Saint” is considered an addition not belonging, in any way, to the names. There is no Saint of the name in the calendar. Some consider the origin of the name to the Traditions, others to a corruption of Coney- a rabbit, or Cain – Gaelic, the clear water. It is pronounced in the neighbourhood as Kinnons, or Konnins. The authorities given agree more for sake of the mode given in the Church Records than from any knowledge of their own of the proper mode of spelling, or of the origin of the names. I’m lucky enough to have a picture of the Kenning’s Well and to say i’m attached to it is an understatement. Kennings Well is now in my own back garden at Croftfoot, the house adjacent to Kirkton Park. In 1731 when Croftfoot house was built, the old well was reputedly in ruins and little used. A story passed down from owner to owner is that the old stone gargoyle that adorned the well and the actual stone collection box the priors used was salvaged and are now both the primary features above my front door! The flow of water adjacent to the well was a primary cause for the fields (where Kirkton Park) continually being swamped out. Channels leading to the well were used in the 1880s when High Blantyre’s drains and water supply were upgraded. 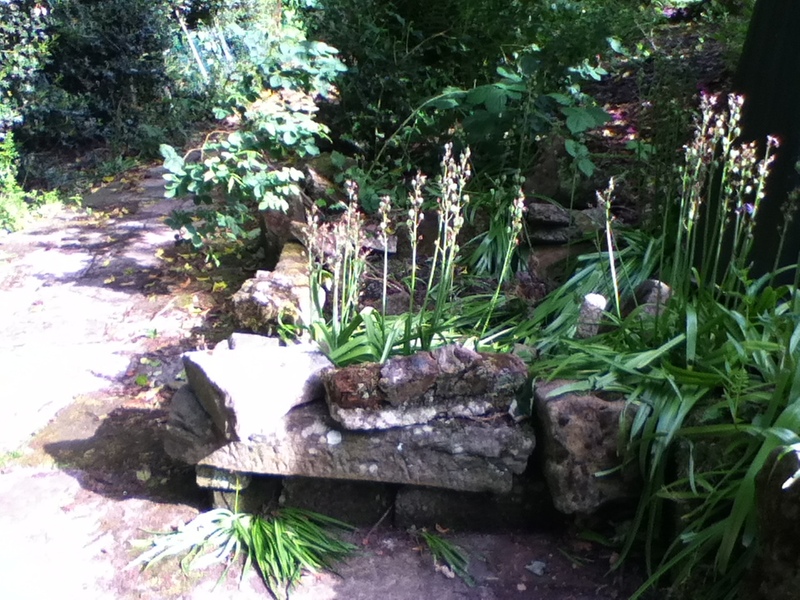 Kennings well has now got a modern concrete slab over it to make the 15 foot drop safe, but i’m pleased to say, bluebells, wild ivy and holly grow from it and makes it a very pleasant and serene backdrop for a Summer seat. I love the history around this well and pleased i can see it from my living room.